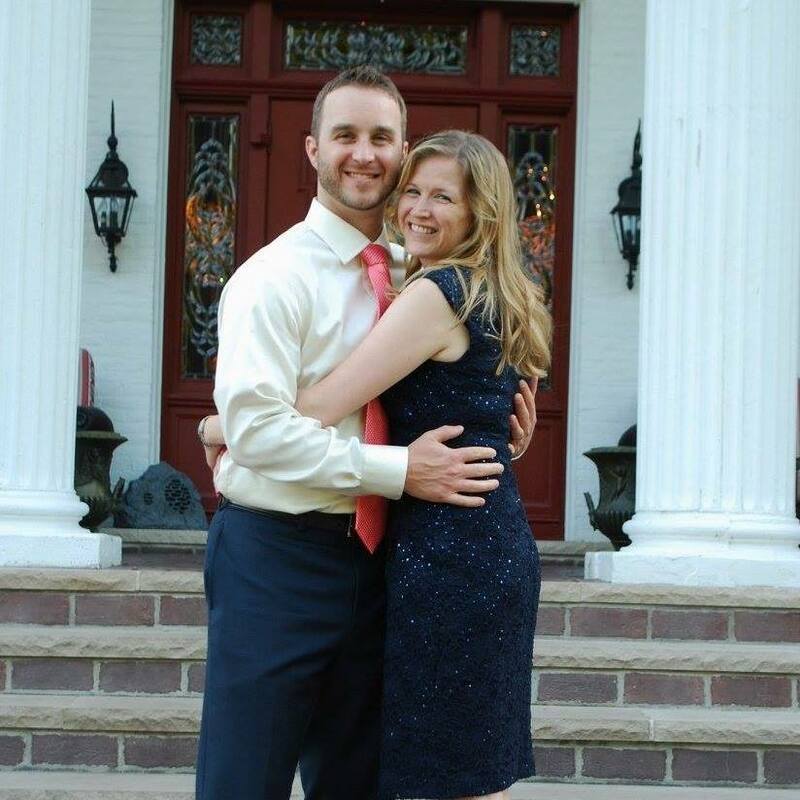 For our family, we have been on a beautiful adoption journey that only God can orchestrate. Recently, we brought home our young daughter and for our boys, their little sister. Our family has experienced joy in ways we never could have imagined. While these joys are great, so are the costs. 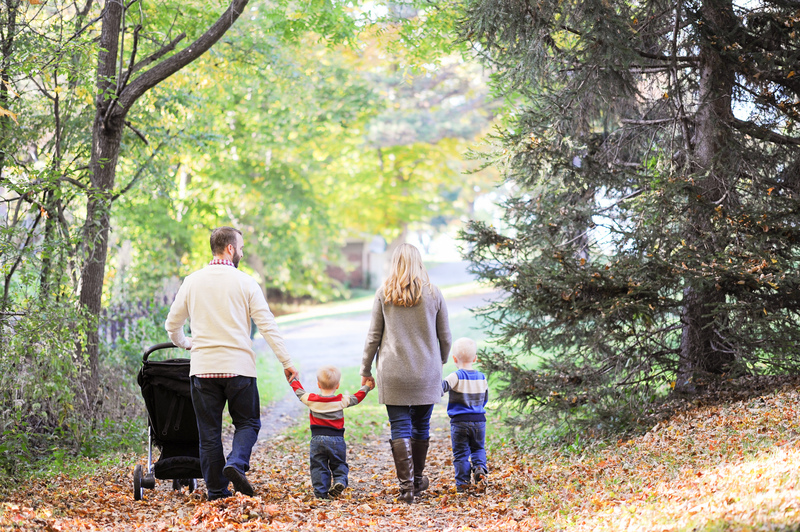 To help defray some of the steep costs to adopt, our family is hosting an opportunity for those who want to support our adoption journey and help partner with us in a small way. 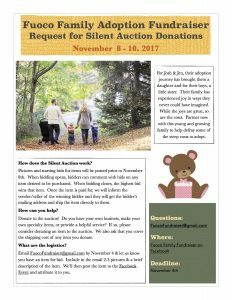 There will be a silent auction on Facebook with bidding opening on November 8th! Pictures and starting bids for items will be posted to the Facebook Event prior to November 8th. When bidding opens, bidders can comment with bids on any item desired to be purchased. When bidding closes, the highest bid wins that item. Once the item is paid for, the vendor/seller will be informed of the winning bidder and they will get the bidder’s mailing address and ship the item directly to them. 1) Bid during the auction! 2) Donate to the auction! Do you have your own business, make your own specialty items, or provide a helpful service? If so, please consider donating an item to the auction. We also ask that you cover the shipping cost of any item you donate. 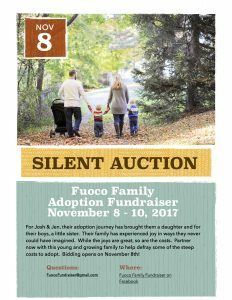 Email FuocoFundraiser@gmail.com by November 4 & let us know you have an item for bid. Include in the email 2-3 pictures & a brief description of the item. The description and pictures of the item will then be posted to the Facebook Event and attributed to you.